The city of Pisa is jam-packed with architectural marvels and magnificent works of art, and all are worth the trip. Tuscany, where Pisa is located, is one of the most beautiful regions in Italy, and going there without plans to visit the surrounding areas would be missing a huge part of the culture the world knows as Italian. 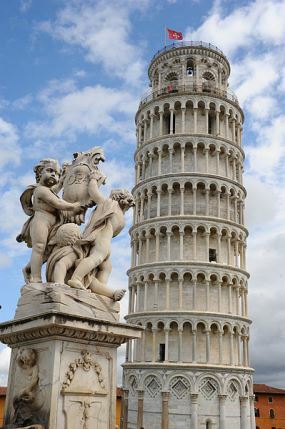 Seeing Pisa and Tuscany in Italy, via Pisa airport motorhome rental, campervan hire or RV rentals provides you with the tools you need to make your trip both an action-packed adventure, and an experience in Pisa life and culture. Pisa is best known for the Leaning Tower, and this site alone draws thousands of tourists each year. However, there are so many more sights to see in Pisa than just the Leaning Tower. Take your Pisa airport motorhome rental and find a camping space right on the Tyrrhenian coast and just within 30 minutes of the city centre. The airport is relatively close to the city, so you’ll find it easy to grab your motorhome hire in Pisa airport and get settled, and head straight to the Leaning Tower, or Torre Pendente, which is located in a UNESCO World Heritage site called Piazza dei Miracoli. Check out the Duomo di Pisa (the Cathedral of Pisa), the Battistero (Baptistry), the Camp Santo Monumentale (the Monumental Cemetery), and the Museo delle Sinopie. This latter attraction is an art museum filled with relics that were saved from the wreckage of World War II. Once you’ve covered the main attractions in the Piassa dei Miracoli, head over to the Piazza dei Cavalieri, or the Knights’ Square, for a look into the historical architecture of the Middle Ages. This area is a small town square where you can also check out the Palazzo dell’Orologio (The Clock Palace), and Chiesa di Santo Stefano (St. Stephan Church). For a more relaxing afternoon, take a stroll through the University botanical gardens. This is a free area, and makes for a wonderfully romantic experience before you call it a day and head back to your RV rental in Pisa Airport for sunsets and after-hour cocktails. Drive slowly and savor your moment under the Tuscan sun. Tuscany is one of Italy’s richest regions in history, art and cuisine defined by internationally renowned Chianti and culinary delights such as T-bone steak, hand-rolled pasta and Livornese fish stew. Escape the crowds and drive your Pisa airport campervan hire into central Tuscany for a bacchanalian and gastronomic feast. The crown jewel in Tuscany’s treasure box is Florence, less than an hour east of Lucca by campervan hire in Pisa airport. Florence is widely considered as the birthplace of the Italian Renaissance, so you can have your fill of what the rest of the world knows as ‘Italian.’ As one of the wealthiest European cities of the 14th to 16th centuries, the Florentine dialect rose to become the Italian language. Its influence stretched further to include architecture, cuisine, the arts and fashion. Be sure to stroll around its UNESCO-designated historic center and linger before the masterpieces commissioned by the Medicis and created by Da Vinci, Botticelli, Titian and Raphael, among others, which today are housed in the well-endowed Uffizi Gallery.